A prediction for 2019 – we will be hearing a lot about an “unholy alliance”. There have been a few of them already, but the big one is still coming. The phrase was warmed up over the past year, by BJP leaders and government-friendly officials accusing the opposition of cynical politics. Across the country, bitter rivals have been burying their differences, as they gravitate toward one grand alliance – a mahagathbandhan – against the ruling party in the election next year. In March, an ‘unholy alliance’ formed in Uttar Pradesh. In May, in Karnataka. In November, Andhra Pradesh – and then in Jammu and Kashmir. Finally, last week, Prime Minister Narendra Modi described it to party workers in Tamil Nadu: Do you know, several of these parties and their leaders claim to be deeply inspired by Dr Ram Manohar Lohia, who was deeply opposed to the Congress… What sort of a tribute are they paying to Dr Lohia by forming an unholy and opportunist alliance with the Congress? It is true that these alliances are very pragmatic arrangements – requiring serious compromises, both personal and ideological. Yet, if BJP leaders today call the strategy of opposition unity ‘unholy’, it’s because they are hoping we don’t remember how their own party first came to power – and how India elected its first ever, non-Congress national government in the summer of 1977. By January of 1977, prime minister Indira Gandhi had held the country in a State of Emergency for nineteen months. It was a surprise to nearly everybody when on January 18 she announced that it was over, and India would be able to elect its new government – in less than two months. The timing was thought to favour her party’s prospects at the polls – and especially her own, and those of her son, Sanjay. Almost every observer believed that Indira would win a renewed, if reduced, majority. Meanwhile, most opposition leaders, from the Left and the Right, had been sitting in jail for at least a year: out of public sight, unable to campaign or to raise funds. Now they were free, but they had barely six weeks to organise against the Congress Party, which had never yet lost a national election. Yet something interesting had happened – the common experience of being in jail, sometimes in the same jail block, had built bonds between very different leaders with very different ideologies. The leading light of the anti-Indira movement, Jayaprakash Narayan, or ‘JP’, also declared that he would not take part in the campaign unless the opposition unified itself. the Jana Sangh, led by L. K. Advani and Atal Bihari Vajpayee, which would later become the BJP. They didn’t just form an alliance but merged into a new party – the Janata Party. It was just the beginning. A week later, the country’s most prominent Dalit leader, Jagjivan Ram, led a faction out of Indira’s Congress – he called it the Congress For Democracy – and it quickly allied with the Janata Party as well. In his column at that time, journalist S. Nihal Singh wrote that, ‘Mr Jagjivan Ram’s departure… and the Janata Party’s single-minded resolve to give the Congress a good fight despite handicaps, have sent ideology on a holiday’. Two other major parties – the Akali Dal, and the communists of the CPI(M) – were not going to officially join an alliance that was heavily influenced by the RSS. But the CPI(M) had suffered the worst of the Emergency, and they too entered practical arrangements to avoid splitting the anti-Congress vote. The alliance did not attempt to select its candidate for prime minister. Charan Singh badly wanted it, as did Jagjivan Ram. But JP, the moral voice of the movement, personally favoured the 81-year-old Morarji Desai. The Janata Party won the election of 1977 by a landslide. For the Congress, it was rout – plunging from 350 seats to 153. Both Indira and Sanjay Gandhi lost their seats. The Congress did not win a single race in UP, Bihar, Delhi, Punjab or Haryana. It was only after this astonishing coup that Janata Alliance turned to choosing a prime minister, in a process mostly managed by JP and JB Kripalani. The result was that Morarji Desai became India’s first non-Congress prime minister. Forty years later, it is the BJP that has a suffocating grip on power, backed by huge corporate donors and a pliant media. Once again, opposition parties have realised that their only chance is to pull off what seems like a political miracle – a successful grand alliance. Is today’s mahagathbandhan also an Unholy Alliance? Not as much as in 1977. In that year, the opposite ends of the spectrum had to come together against a Congress dominating in the centre. Today, an alliance is banding together against a ruling party that is moving out, on its own, to the far right of the spectrum. The election of 1977 has lessons for the opposition today. The first is simple: A dominant party that is determined to hang onto power can be unseated by consolidating opposition votes, instead of splitting them. However, the Janata Party had JP to hold their allies together. Today’s opposition has no one similar. The question of whether Rahul Gandhi deserves to lead the Congress party cannot wait for the results of the 2019 election to be decided. 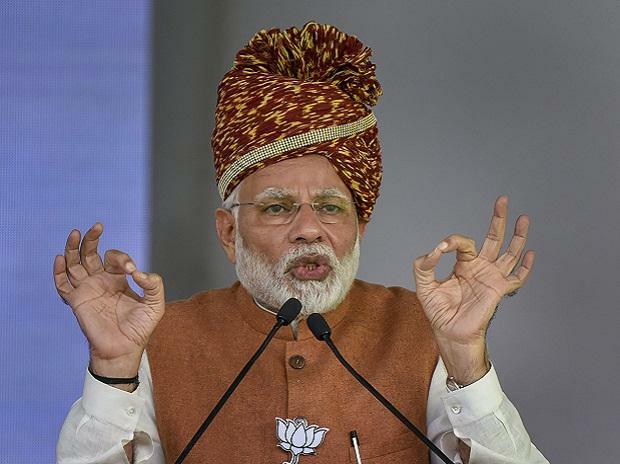 It will be decided before the voting, based on his success holding together a band of parties – many of which, as Modi pointed out, regarded the Congress as their main nemesis a decade ago.